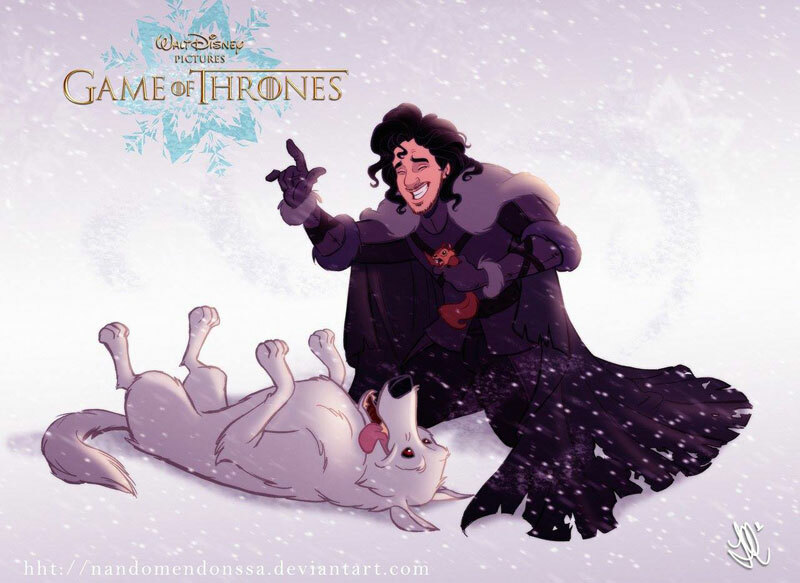 Ever wonder what a Disney animated version of Game of Thrones would look like? Well, Brazilian artists Fernando Mendonca and Anderson Mahanski thought so too, so they came up with these amazing illustrations. Unless Disney purchases HBO in the future, we probably won’t see this version come to light, but hey, we can always dream, right? Click here to view the first image this week’s funny school pictures gallery. Continue reading for a viral video showing how to hide your pool like super spy.